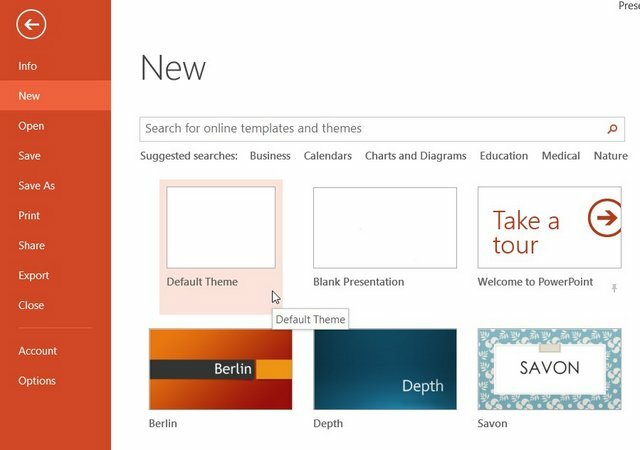 Learn how to set the default PowerPoint slide size so a new file always opens in the format you need. Don’t get stuck with PowerPoint defaults of Standard or Widescreen. From time to time, people who create PowerPoint program tend to make certain assumptions regarding your preferences. 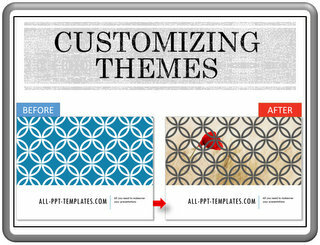 They assume that you always want to create your presentations from an existing template. So, they force you to stare at the start screen with template options - every time you open the program. They assume that you prefer to make only those dreaded bullet point lists in the name of presentations. So, the default content slide has bullet point style. 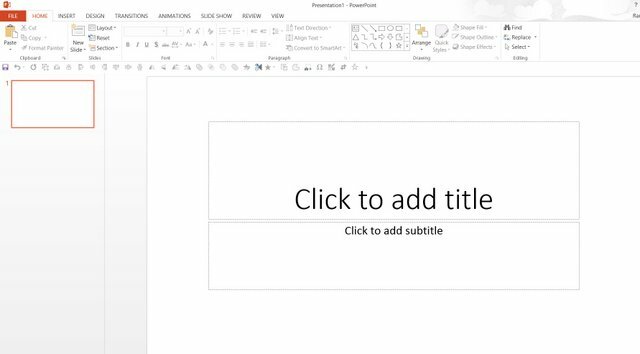 One of the recent assumptions made by PowerPoint team is – you always want to see your presentations in Wide screen format. 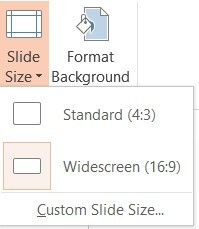 So, they made the default slide size in PowerPoint 2013 as 16:9. Widescreen format is fine if you want to display what you have created on your PC. The moment you share you presentation in widescreen format with your colleagues, who use a lower version of PowerPoint (which is mostly the case), the images and placement of diagrams goes for a toss. How do you change the Slide Size? If you know that you are going to share your presentations with others, it always makes sense to create a 4:3 format of your presentation as well. 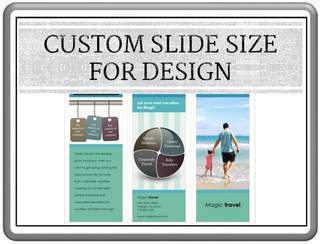 The way to change the slide size is to go to ‘Design’ tab and select the ‘Slide size’ option. You can change the slide size to the ‘standard size’ from Widescreen format. How to make the ‘Standard size’ as your default? There is a way to make the standard size as your default. First, change the slide size to ‘Standard’. 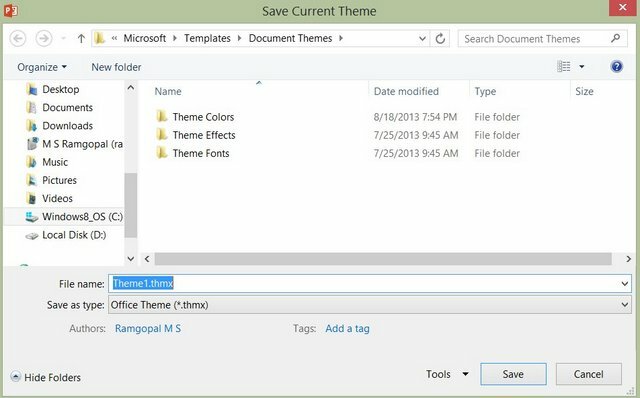 Then, under ‘Design’ tab - go to ‘Themes’ option and choose ‘Save Current Theme’ option. Right click on the theme and choose ‘Set as Default theme’ option and close the program. 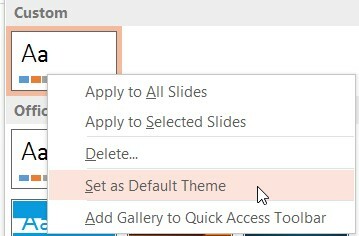 You can click on the ‘Default theme’ to start your presentation in the ‘Standard’ format. When you choose to skip the Start screen at the start of the program, the new default theme (which has your slides in ‘Standard’ size) applies. To learn to bypass the start screen please go through this article. (Link to Bypassing the Start Screen article). 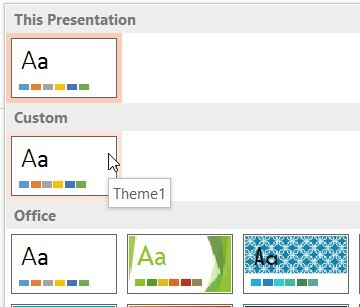 Now, you don’t have to bother creating two versions of the same presentation anymore and save some time and effort.